Spartans officials will meet with the SFA after it emerged that both the Edinburgh club and Elgin City fielded ineligible players in the Scottish Cup. City beat Spartans 2-1 in the third-round tie, but goalkeeper Joe Malin should not have played for them. It now appears that Spartans full-back Dean Hoskins was also not registered after an administration error. However, the match will still be replayed on Monday 15 December at Elgin City's Borough Briggs. Malin was signed from Second Division club Ross County after the date of the original tie at Elgin, which was postponed on 29 November. He starred in the victory over Spartans on Saturday 6 December, but the beaten side lodged a complaint, which was heard by the SFA on Thursday. 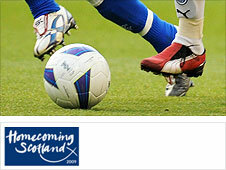 East of Scotland outfit Spartans had asked for the game to be replayed. Scottish Cup rules state: "When a match is postponed, drawn or abandoned, is played or replayed, only those players who were eligible by means of their registration at the date fixed for originally playing the round may play." Malin was signed on an emergency loan just 24 hours before Saturday's rescheduled tie as Elgin's two senior goalkeepers were both injured. Now it has emerged that Spartans also fielded an ineligible player in Hoskins. Following a replay win over Hamilton Accies last season, Brechin City were expelled from the tournament under similar circumstances. The SFA originally ordered a replay and fined the Glebe Park club £10,000 after discovering the home team had fielded an ineligible player. However, once it had emerged that Brechin had selected two players in breach of the registration laws, they were thrown out and Hamilton progressed.